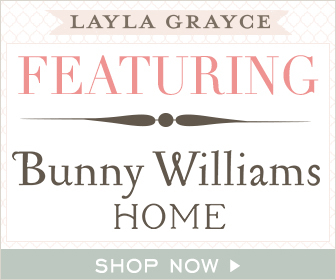 15% Off Wedding Gifts at Layla Grayce! It's officially wedding season, and Layla Grayce is offering 15% off wedding gifts with promo code BRIDE2BE valid through 6/30! Check out wedding essentials, including personalized gifts, tableware, and much more! Shop now at Layla Grayce to find a gift for the happy couple! Layla Grayce offers 15% off Wedding Gifts! From New York Times bestselling author Eloisa James come two stunningly sensual stories in which gentlemen who rule the waves learn that true danger lies not on the high seas, but in the mistakes that can break a heart…and ruin a life forever. Lady Grace Ryburn is in love with a dashing young lieutenant, Colin Barry, but she turns away, thinking that Colin is in love with her sister. Should Colin throw propriety to the winds, imitate his pirate father, and simply take what he most desires? After years at sea, Sir Griffin Barry comes home to claim his wife. But is Phoebe his wife, if their marriage was never consummated? As an infamous pirate, Griffin claimed and kept gold and jewels… but this is one treasure that will not be so easy to capture. As You Wish is a special collection in Eloisa's Fairy Tales that pairs a novella previously published electronically, Seduced by a Pirate, with a brand new, longer story, With this Kiss. Who can resist a story about pirates? Not me! I liked the first story, "Seduced by a Pirate" a lot more than the previous companion novel, "The Ugly Duchess." I much preferred Griffin, the hero in this story, over his best friend, James in "The Ugly Duchess." There were still themes of infidelity in this story, but I tried to give the benefit of the doubt since Griffin and Phoebe were only married (and knew each other!) for only one day before they were separated from each other. While "Seduced by a Pirate" was enjoyable, the real gem in this book is "With this Kiss." First released as three e-novellas, the build up and cliffhangers at the end of the three parts is amazing! It was so much fun to read because of this format. I can imagine it was difficult to get to the end of each part and have to wait for the next ebook to be released! But with the paperback version, you get to read all three parts at one time. Still, the anticipation was great here too. Bottom Line: These are great novellas, and "With this Kiss" especially provides a little something different for historical romance readers. 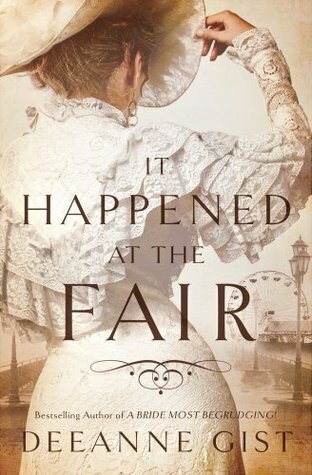 Spotlight: "It Happened at the Fair"
"It Happened at the Fair"
Gambling everything, including the family farm, Cullen McNamara travels to the 1893 Chicago World's Fair with his most recent invention. But the noise in the Fair’s Machinery Palace makes it impossible to communicate with potential buyers. In an act of desperation, he hires Della Wentworth, a teacher of the deaf, to tutor him in the art of lip-reading. With over half-a-million sales in trade, Deeanne Gist has rocketed up bestseller lists and garnered rave reviews with her very fun, very original historical and contemporary novels. Add to this three RITA nominations, two consecutive Christy Awards, and a growing loyal fan base, and you’ve got one recipe for success. Deeanne has a background in education and journalism and a degree from Texas A&M. Her credits include People, Parents, and Parenting. She lives in Houston, Texas with her husband of twenty-nine years and has four grown children. Disclosure: I received a copy of this book from the publicist/publisher in exchange for a blog post. Get to know Goddess Girl Pheme…the original “gossip girl”!As the goddess girl of rumor and gossip, Pheme prides herself on being “in the know” and having the most up-to-date info on anyone and everyone at Mount Olympus Academy. To make sure that people really get her VIP messages, her words tend to linger in cloud letters above her head—just in case people don’t catch what she says! In my opinion, this is one of the very best book series out there for younger girls, and this a great addition to the series. I love getting to know the other girls besides the main four Goddess Girls. They all have a little something different to add, and a little bit of quirkier personalities! Some may think, what good can come from gossip? But the authors have found away to explain that in moderation, gossip can actually be helpful. 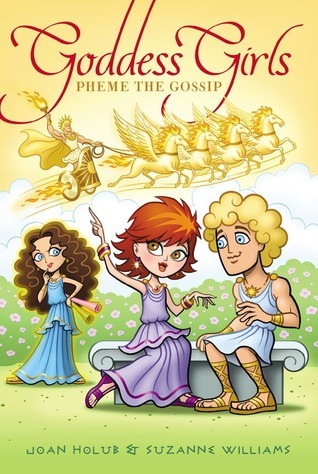 Pheme is trusted by Zeus to be his eyes and ears around Mount Olympus Academy. He wants to be the first to know if there is any suspicious activity. While Pheme does take it to an extreme at times, she and her friends learn that her job is important. By always being watchful, she can tell when something suspicious is going on that may cause harm to the students (and in this case-the world!). It's also important for her to 'gossip' about it, or to let Zeus know asap. It's a different sort of message than we usually get about gossipping. But actually it may be an important one for young girls to learn. It is a good idea to 'report back' to an adult if they notice anything strange going on. While it's not great to gossip, it is important to speak up. It's a fine line, and I think the authors explained it quite well! Bottom Line: I love seeing the supporting girls from The Goddess Girls get their own books! It's so fun to read about their different personalities! 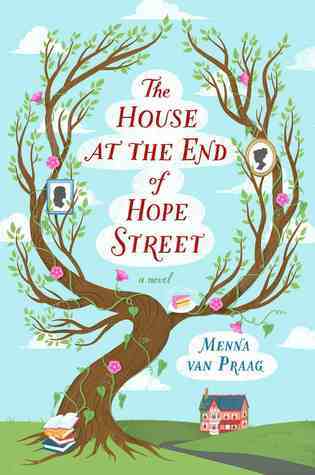 Spotlight: "The House at the End of Hope Street"
"The House at the End of Hope Street"
Summertime is right around the corner and we are so excited to soak up some sun, especially because Summer 2013 is the Bella Andre Summer of Love! Help us celebrate this spectacular summer of hot reads and the release of the first three books in Bella Andre’s sizzling Sullivans series with the Bella Andre Summer of Love Beach Bag Contest! Don’t miss THE LOOK OF LOVE (JUNE 2013), FROM THIS MOMENT ON (JULY 2013) and CAN’T HELP FALLING IN LOVE (AUGUST 2013). AND there is also another contest at Facebook.com/HarlequinBooks!! It’s the Bella Andre Summer of Love Mixtape Contest! Visit Facebook.com/HarlequinBooks from May 22nd – May 31st and create your SUMMER OF LOVE Mixtape for a chance to win a trip for YOU and THREE friends to Las Vegas. The publisher and publicist have generously provided a beach bag with summer essentials for a lucky reader of my blog. I will receive a beach bag with essentials sent by the publicist and publisher in exchange for a blog post. 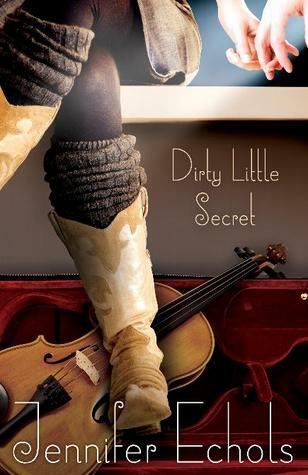 I love this author's books and I really like the story line revolving around the music industry! The world of "new adult" books seems to have taken the book world by storm recently! If you want a quick sample of the genre to see if you might like it, there is a free ebook sampler available featuring excerpts from some popular Harper Collins new adult books. 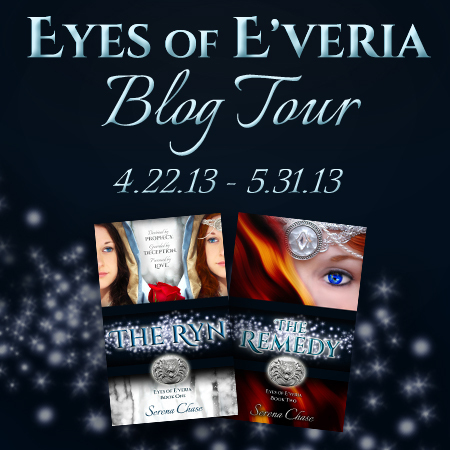 As part of Serena Chase's blog tour, I am happy to have the author stop by for a character interview, and a giveaway! DESTINED by prophecy. GUARDED by deception. PURSUED by Love. Centuries ago, an oracle foretold of the young woman who would defeat E’veria’s most ancient enemy, the Cobelds. But after two centuries of relative peace, both the prophecy and the Cobelds have been relegated to lore—and only a few remain watchful for the promised Ryn. Finally, a child is born who matches the oracle’s description, but a Cobeld curse accompanies her birth. Led to believe they succeeded in killing the prophesied child, the Cobelds emerge from hiding with plans to overtake the Kingdom. Secreted away and called “Rose” for the first nineteen years of her life, Rynnaia E'veri has no idea of her true identity until a chance meeting with an injured knight reveals not only her parentage and true name, but the task assigned her by the oracle: discover the Remedy that will destroy the Cobelds' power. Now, her time has come. Offered the assistance of pirates, scribes, storytellers, a young woman who died centuries ago, and the knight who is quickly working his way into her heart, Rynnaia is fortified with friends. But if the Ryn is to complete her task, she must come to terms with not only who she is, but for whom she must be willing to die. For the kingdom’s survival depends on her. 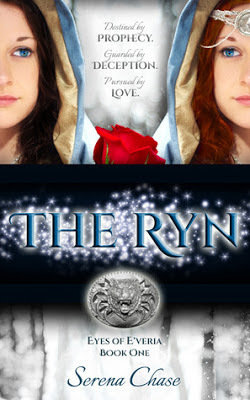 THE RYN begins an epic re-imagining of the classic Grimm fairy tale, Snow White and Rose Red. Book Two, THE REMEDY, is scheduled for release April 2013. 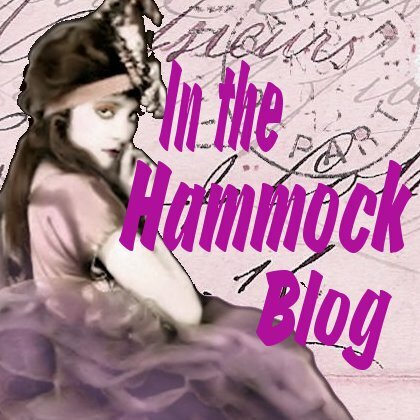 Now, I'd like to welcome Serena Chase to In the Hammock for a guest post! Julien: As you know, I’ve been given permission to court your sister, but since we are soon to leave on the quest for the Remedy, I’m not certain how to proceed. Rowlen: And…? I haven’t heard a question yet. Julien: You are her brother. Her closest confidante. I need advice, Rowlen. Rowlen: And yet you continue to make statements, rather than asking questions. Julien: *takes deep, calming breath* Rowlen de Whittier, would you please consent to offer me advice as to the best way to woo your sister, Princess Rynnaia? Rowlen: *grins* Why of course! It would be my pleasure! Rowlen: Being raised with my family in Veetri, Rynnaia enjoys music. You could sing to her. Julien: *shakes head* Not if I want her to remain in my company. Rowlen: *laughs* Your singing can’t be that bad. Erielle: *comes out from hiding place* Honestly, Master Rowlen, you do not want to subject the Ryn to that sort of torture! Julien’s singing could set wolves cowering away in fear! Julien: This is a private conversation, Erielle. Be on your way. Erielle: Fine. *puts her hands up and backs away* I was just trying to help. Rowlen: You might do well to ask your sister’s opinion, Sir Julien. She might better be able to tell you the sort of wooing women prefer. Julien: My sister? Hardly. *laughs* Erielle despises every aspect of formal courtship. Rowlen (gazing at Erielle’s retreating form): Hmm . . . interesting . . .
Julien: *puts hand on Rowlen’s shoulder* Eyes. Here. We’re talking about your sister, remember? Not mine. Rowlen: Yes, yes. Rynnaia. Hmm. If you can’t sing, perhaps you could compose a bit of poetry? Julien (runs a hand back and forth through his hair): I’m not much of a poet. That gift seems to rest with the females in my family. Rowlen: *throws hands dramatically upward* What can you do? Julien: *furrows brow* Well, I’m fairly adept with the sword . . .
Rowlen: *snorts* Clearly, the way to a woman’s heart. *rolls eyes* You don’t sing. You don’t compose. You do at least read and write, don’t you? Julien (mildly offended): Of course! Rowlen: *snaps fingers an inch away from Julien’s face* Then there is your answer! If you’re neither poet nor balladeer, you must choose brevity over beauty. If not your own words, then carefully select from the known phrases of others to declare your heart. Julien: Hmmm. *smile begins to dawn* I like where this is going . . .
Rowlen (suddenly serious): It had best be going toward a wedding, de Gladiel, for if you break my sister’s heart, I will—. Julien: *crosses arms and allows a staccato, mocking laugh to escape* You’ll what, Storyteller? Throw an illusion at me? Rowlen: *lifts chin* I daresay a knight like you would not benefit by being portrayed as a villain in one of my stories. Or, perhaps *warms to the subject* I could create a story in which you suffer a particularly vicious, untimely death . . .
Julien: Don’t trouble yourself. I’ve no intention of breaking Rynnaia’s heart. In fact, it is my ardent aim to make her mine, if she will have me when our quest is complete. Erielle (peeks out from behind a different bush, grinning): Then by all means, Julien, whatever you do, do not sing to her! ABOUT THE AUTHOR: Serena Chase is the author of the Eyes of E’veria series. The Ryn (March 2013) and The Remedy (April 2013), are an expanded re-imagining of the classic Grimm fairy tale, Snow White & Rose Red and are available for Kindle and Kindle apps. 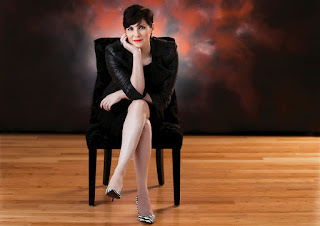 You can connect with Serena by “liking” her on Facebook, following her on Twitter, and catch up with her book reviews, author interviews, and the occasional feature article at USA Today’s Happy Ever After or the Edgy Inspirational Romance blog. Her website is www.serenachase.com and she also has an Eyes of E’veria board on Pinterest featuring images that remind her of books 1 & 2 and continue to inspire her as she writes books 3 & 4. The author has generously provided a prize pack for this stop on her tour! Prizes will be mailed out by the author, the author is in control of choosing winners via Rafflecopter. Disclosure: I did not receive compensation for this post. The author controls the Rafflecopter and prizing. "The Great Gatsby: Midnight In Manhattan"
The novel The Great Gatsby has only increased in popularity since it was initially published in 1925, with its author, F. Scott Fitzgerald, holding nearly as much of the public’s fascination. An emblem of the roaring ‘20s, Fitzgerald’s personal story is as interesting as his writing. With narration from Tara Fitzgerald and featuring contributions by the author’s granddaughter Eleanor Lanahan, plus writers Hunter S. Thompson, George Plimpton, Jay McInerney, and more, this program presents a fascinating portrait of this enduring American icon. The Great Gatsby: Midnight In Manhattan, produced in celebration of the 75th Anniversary of The Great Gatsby for the BBC’s acclaimed art series Omnibus, explores the life and dark creative spirit of its writer, F. Scott Fitzgerald. It examines his disappointing college days at Princeton, his difficult relationship with fellow author Ernest Hemingway, and his turbulent last days in Hollywood. It dispels the age-old mythology surrounding Fitzgerald, largely created by himself, which tends to glamorize the Jazz-Age and his alcoholism. I have been a huge fan of the novel The Great Gatsby since the first time I read it in school, so I knew I had to see this documentary. It's hard not to be fascinated by F. Scott Fitzgerald himself when you are such a big fan of his writing. This documentary sheds more light on both the novel and the author. I think it's a great film for fans to add their collection and knowledge. I loved seeing all the different experts (many you will recognize) give their opinions and dissections of one of my favorite books. Some of their opinions matched my own, but I had never put it into words as nicely as they did. Other times, they thought of the book in a totally different way than I had. The documentary also shed a lot of light on Fitzgerald's life and career. A lot of this information was new to me. I had no idea that he didn't sell that many books during his lifetime. I suppose just because he was a celebrity didn't mean that people were actually reading his books! Shockingly, the film stated that more copies of The Great Gatsby are sold in one month in America now that sold during Fitzgerald's entire lifetime. There were signs that the documentary wasn't brand new, I later discovered the the film was actually made in 2000. This is somewhat interesting in itself, because they addressed the decadence of the 1920s before the stock market crash, and compared it to the decadence of 2000. The Great Gatsby is said to predict a fall after the lavish lifestyles of the 20s, and it was eerie to me that the documentary itself showed the Twin Towers many times, while saying that another crash was inevitable. Knowing what happened in the US in 2001, made the timing of the documentary a bit eerie. Also included in the DVD is a short play featuring Fitzgerald, his wife, Zelda, and Ernest Hemingway as the main characters. The play adds a little bit of depth to the personalities we learned about in the main feature. Bottom Line: This is definitely a great addition to a fan's collection. Even those who hadn't previously known a lot about Fitzgerald or his books would find this documentary engaging. Disclosure: I received a copy of this DVD from BBC in exchange for an honest review. Giveaway and Blog Tour: "A Spear of Summer Grass"
"A Spear of Summer Grass"
New York Times bestselling author of the Lady Julie Grey series enters a new era with A Spear of Summer Grass. The daughter of a scandalous mother, Delilah Drummond is already notorious, even amongst Paris society. But her latest scandal is big enough to make even her oft-married mother blanch. 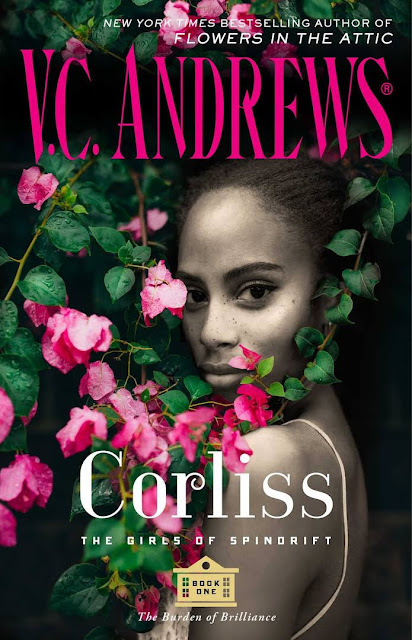 Delilah is exiled to Kenya and her favorite stepfather’s savannah manor house, until gossip subsides. If you blend glamour from The Great Gatsby and romance from “Out of Africa,” you are beginning to grasp the stunning new novel that is A Spear of Summer Grass. 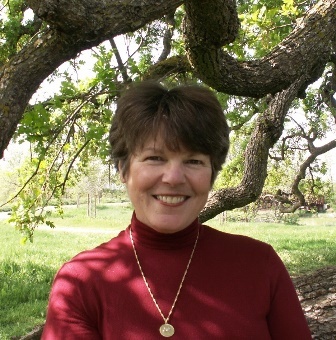 A sixth-generation native Texan, New York Times bestselling author Deanna Raybourn grew up in San Antonio, where she met her college sweetheart. She married him on her graduation day and went on to teach high school English and history. During summer vacation at the age of twenty-three, she wrote her first novel. After three years as a teacher, Deanna left education to have a baby and pursue writing full-time. Fourteen years and many, many rejections after her first novel, she signed two three-book deals with MIRA Books. Deanna’s novel Silent in the Grave won the 2008 RITA® Award for Novel with Strong Romantic Elements and the RT Reviewers’ Choice Award for Best First Mystery. The Lady Julia Grey series has been nominated for several other awards, including an Agatha, three Daphne du Mauriers, a Last Laugh, four additional RITAs, and two Dilys Winns. Dark Road to Darjeeling was also a finalist for the RT Reviewers’ Choice Award for Best Historical Mystery as well as a Romantic Reviews’ finalist for Best Book of 2010. 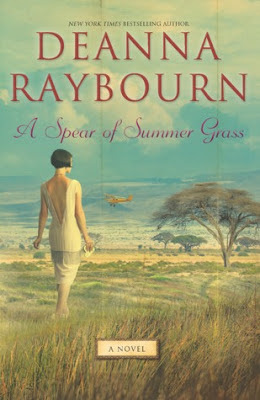 The publisher and publicist have generously provided two copies of "A Spear of Summer Grass" for two lucky readers of my blog. This ARC was sent by the publicist and publisher in exchange for a blog post.